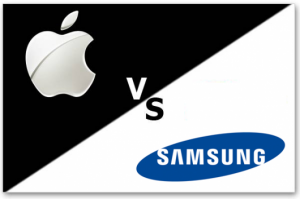 There is another lawsuit that has again disturbed the tow giants – Apple and Samsung. In this ongoing lawsuit, both technology giants are trying to add their respective lists of patent violating products from the other side. Now Apple has decided to add further six recently introduced or improved products of Samsung that must be considered in the court in terms of patent infringing lawsuit. The devices of Samsungs that have been included by the Apple are Galaxy S III, Galaxy Note II, Galaxy Tab 8.9, Galaxy Tab 2 10.1, Rugby Pro and Galaxy S III mini. This has been reported by FOSS patents. According to this report, all the above mentioned products have been released after the fifth generation iPod touch. About the iPod touch, the Samsung has also requested to include this product in the lawsuit. Samsung changed the contents of the lawsuit and requested to include the latest products of the Apple including the fifth generation iPod touch, the fourth-generation iPad and iPad Mini. Samsung made the arguments that these products of Apple were not available when it filed its court lawsuit on October 1.